the field of commerce and management. 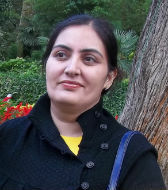 she has worked as a director for Jetking okhla center. She has a sound academic profile with PhD degree from Delhi University. Her area of specialization is marketing.